I researched Christine online before proceeding to contact her. I was immediately convinced that I had made the right decision to reach out to her to help overcoming some issues I’d been running into during job interviews. We talked it out, and Christine had several exercises (painless) that we went through that I remember and still use today. My first interview after we’d met, I felt in charge, confident and comfortable right away. It was the most successful interview I have had so far. I anticipate I will land the right role here in Fort Lauderdale with the tools I learned from Christine. should consider themselves beyond fortunate. Empathy and Enthusiasm. Plus, she is an engaged listener. Consider Christine Wright as the guide to your greater success. When I found myself unemployed, I saw it as an opportunity to create the life I’ve always wanted, by doing what I love to do. The only issue being I had no idea where to start in building my business. My friend June referred me to Christine Wright, who has to be the calmest person I have ever known. I feel like I’m exploding with ideas, while she manages to make sense of it, making it clear what my next step should be. She provided me with some simple to use templates for making a business plan, to do lists etc. Not only did she help point me in business, she also helped with that negative self-chatter that many of us tend to do. If you’re just starting a business, interested in expanding, or you just feel overwhelmed with everything you have going on, you owe it to yourself to call Christine. I don’t know what I would have done without her. Your life can be stress-free with Christine! I have known Dr. Bob Wright and Christine Wright for years. Bob has had the opportunity to read some of my poetry, religious and other various themes that I have written through the years and into the present. With the skillful eye of a published author, he has encouraged me to publish some of my religious poetry. I also listen regularly to Bob’s and Christine’s podcasts and was most intrigued by his interview on stress burnout the subject of his book 7 Tips for Avoiding Stress Burnout for Busy Entrepreneurs. I found Bob’s interview, informative, educating and helpful. I feel that I can make use of these tips should I find myself experiencing these situations. With Christine’s and Bob’s knowledge of coaching and Stress Management, they make a great team and present very factual and useful ideas that can help people who are in dire need for such informative suggestions. A few months ago I made a commitment to put on a seminar. However, it was clear to me that I would need someone to hold me accountable or I wouldn’t get it done. It was no longer acceptable to me to allow procrastination and lack of motivation to get in the way of what I knew I was capable of accomplishing. A good friend referred me to Christine Wright for coaching. As my coach, Christine and I talked each week and she gave me the encouragement, support and accountability I needed to create my seminar. I felt that in Christine I had someone I could trust to offer input, suggestions and valuable advice. In October of 2014 I held my first seminar, thanks in a large part to Christine’s coaching, as I could not have done it without her. Thank you Christine for your humor, wisdom and excellent coaching. I was so stuck in my business before coaching with Christine. While my marketing was doing its job, I failed in many other important areas and continually fell on my face to keep my business afloat. I wasn’t able to maintain a steady flow with existing clients or the new leads I was attracting. I would stay up all night just to ‘catch up’ on client work and feeling under pressure constantly. I really thought I needed to just close the doors and get a job. Stress and chaos was the order of the day. After just a few months, I have made several important changes in my business that have resulted in much less stress and confirmation that I can be both successful and happy. One of the biggest wins has been to organize my week and plan ahead to manage my time. While I’m a work in progress, I no longer stay up all night working and I actually take time out for myself. I feel more like the captain of my ship instead of a stowaway who is at the mercy of outside influences and it feels good! I hired Christine Wright to help me move forward on a stalled writing project —a memoir. As a result of our work together, I was able to move past difficult emotions and begin writing again, knowing someone was there supporting me and cheering me on. Her encouragement, support and wisdom have helped me with the writing, but I’ve been able to identify other life goals and tasks, resulting in more productivity and energy. I have gained a renewed appreciation for the gifts I have to offer others, which gives me confidence each day I sit down to write, as well as in the rest of my life. She also reminds me of the need for self-care in the midst of the hard work of writing a book. These are just a few ways Christine has blessed my life. Bob Wright and I met at my first Intensive, a week of studies for the fall semester of 2008 at the California Institute of Integral Studies where we were members of a cohort for the Transformative Studies PhD program. A few months previously, I had broken my fibula and had a metal plate installed near my ankle to hold the bones together while they healed. I was experiencing discomfort at the surgery site and pain in my plantar fascia. Bob offered to demonstrate his techniques with tuning fork and the open focus method of overcoming pain by changing the way one pays attention to pain from narrow focus to open focus. Both demonstrations helped me to become more comfortable and gave me a tool for dealing with pain. Later, when I experienced a problem with sciatic nerve pain, I listened to the CD that comes with Les Fehmi and Jim Robbins book Dissolving Pain because of my experience with Bob and found relief through the audio and textual support. During the years, Bob and I have seen each other at Intensives and spoken on the phone. He always amazes me with his interesting projects. His wife Christine is lovely, lively, and intelligent and I’m very excited that they have begun this website for their business. I’m sure that they are proving to be a blessing to others. Bob and Christine are consummate professionals whose warmth, humor and compassion are immediately apparent. Bob’s creative big picture approach to helping you identify core issues and presenting effective solutions is simply masterful. Christine’s quiet encouragement and direct approach gets you to see where you are with your goals and to decide where and how you want to move forward. 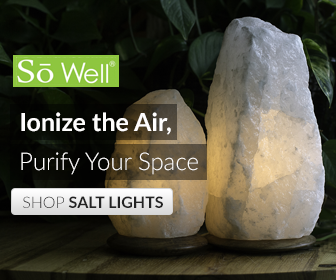 StressFreeNow is a beautiful RElaxing and REfreshing website sponsored by BEAUTIFUL People… Bob and Christine Wright are a class unto themselves! Christine Wright, MA is a brilliant, insightful and intuitive coach with a gentle and supportive approach. I’ve known Christine for over 10 years and working with her was one of the best gifts that I gave myself. Dr. Robert Wright is a supremely intelligent scholar who cares deeply about people and who operates in the world with integrity. Their warmth and sense of humor is immediately apparent. 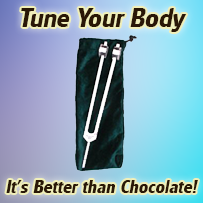 Case Studies: Eight accounts of the beneficial effects of Tuning Forks Healing and the Open Focus Technique.